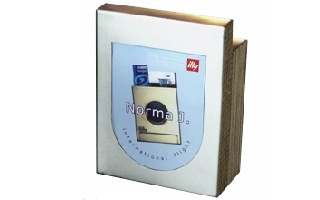 This site is created with passion by illy collectors for illy collectors. When you press the button " more details " you'll see more information and pictures about the relevant illy art collection. If you discover an error please let us know, we appreciate it very much if you have additional information. illy collection - 2001 - espresso cups - David Byrne - Alien cups. illy collection - 2001 - espresso cups - H.Murai, S.Mac Williams, E Zawada, J.Koop, E Lehmann, S Montserrat - P.S.1. illy collection - 2001 - espresso cups - Artistas do Brasil - Maiolino, Dias, Nassar, Leirner, Silveira Caoldas. illy collection - 2001 - espresso cups - Jeff Koons. illy collection - 2001 - cappuccino cups - Jeff Koons. 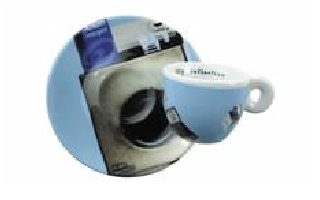 illy collection - 2001 - espresso cup - Norma Jeane - International Flight washing machine - Limited edition / Edizioni Speciali. 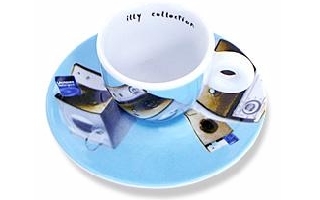 illy collection - 2001 - espresso cup - Matteo Thun - Miss Illy - Limited edition / Edizioni Speciali. illy collection - 2001 - espresso cup - Matteo Thun - Miss Illy + Coffee can - Limited edition / Edizioni Speciali. 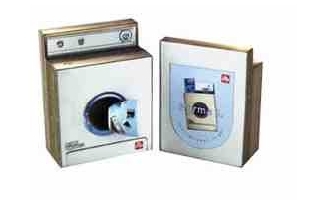 illy collection 2001 espresso Artistas do Brasil.